“We built this world together.” HBO has unveiled a new teaser and the premiere date for season two of Westworld. 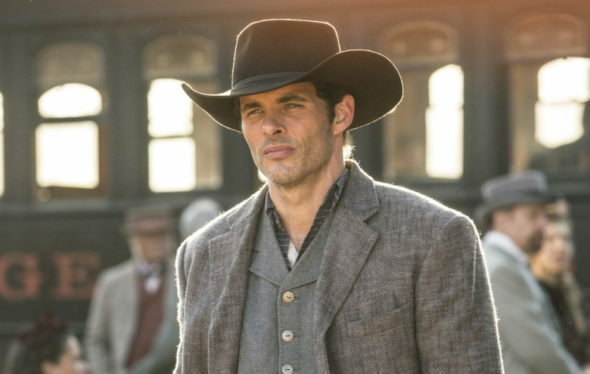 Based on the 1973 feature film, the sci-fi drama is set in a futuristic theme park where visitors pay a lot of money to act out their Wild West fantasies while interacting with lifelike robot “hosts.” The cast includes Ed Harris, Evan Rachel Wood, James Marsden, Thandie Newton, Tessa Thompson, Sidse Babett Knudsen, Jimmi Simpson, and Jeffrey Wright. Season two of Westworld debuts on HBO on April 22nd at 9 p.m. ET/PT. What do you think? Are you a fan of Westworld? Will you watch season two?